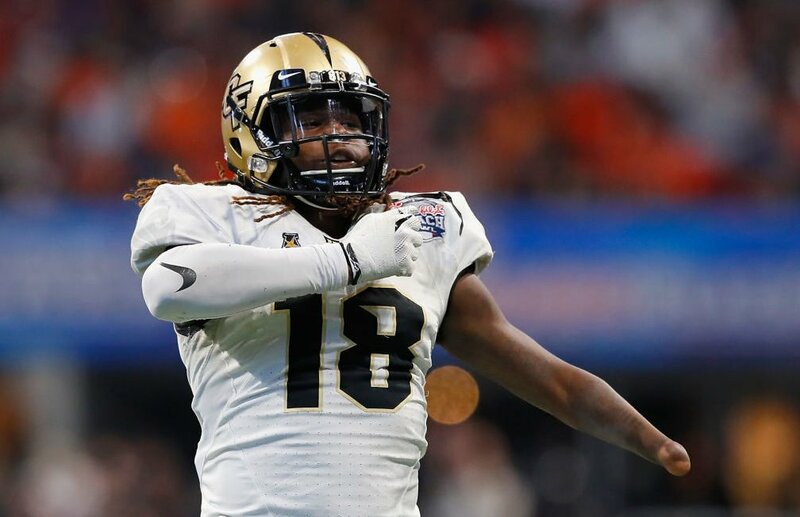 Central Florida linebacker Shaquem Griffin is shutting down any and all doubts about his abilities to play in the NFL. Shaquem Griffin’s not concerned about his skills because he’s proven that he can tackle and sack with precision, earning the title as the 2016 American Athletic Conference Defensive Player of the Year. He even became a sought-after college football player, even without a left hand —a feat that made Griffin a standout even though he still faces concerns from scouts over the impairment. Shaquem Griffin is dominating the football scene despite his rare birth condition called amniotic band syndrome. The birth defect prevented his fingers from fully developing and causes lots of physical pain. Griffin’s hand was amputated at age four because due to the condition. Griffin is hoping NFL teams consider him for the pros and do not place limitations on him—because Shaquem Griffin doesn’t put them on himself. Shaquem Griffin expected that NFL scouts would have doubts about his ability to play at the highest level with one hand but he also knew that all of his college football achievements, done without his left hand, spoke for his skills. Griffin attended UCF with twin brother Shaquill, who was selected by the Seahawks in the third round of the 2017 draft and is now one of the up-and-coming cornerbacks in the league, according to Bleacher Report. And Griffin showed up and showed out at the combine and completed 20 reps in the 225-pound bench press with a prosthetic device clamped to the weight bar. He took his can-do attitude a bit further and ran a 4.38-second 40-yard dash Sunday on his first attempt at Lucas Oil Stadium. Griffin even matched his brother’s record from the previous year, even though he’s 33 pounds heavier. We’re sure that wherever Shaquem Griffin lands fans from all across the country will be rooting for him as he shares his inspiring story.